Caravanserai is the fourth studio album by Santana released in October 1972. It marked a major turning point in Carlos Santana's career as it was a sharp departure from his critically acclaimed first three albums. 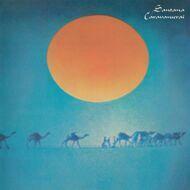 Caravanserai reached number eight in the Billboard 200 chart and number six in the R&B Albums chart.